Below you will find the most frequently asked questions about water treatment systems. Are the filters good quality products? FITaqua filters are in one hundred percent made of European highest quality materials. All filters are pressure tested. FITaqua filters have appropriate hygiene certificates in all European countries, USA, Canada, Russian Federation and Australia. All cartridges and filtration systems are up to date NIH certificated. FITaqua is certified ISO9001 which confirms the highest production standards of filters, cartridges and accessories. For how many years is enough for me such a filter? The filter itself can last for a very long time. The only thing you have to remember is regular filter cartridges replacement. Cartridges should be replaced every 6 months. They stop organic pollutants and chemicals. Replace cartridges with the new ones after 6 months and enjoy clean and healthy water. or send a message through a Contact form. When I buy a filter can I also order installation service? When buying FITaqua filter you can order it to be assembled anywhere in Poland. Professional installation requires an additional fee. In order to arrange the service, please contact a consultant. Can I count on help in choosing a FITaqua water filter? Of course, we advise our clients in selecting a filter in order to find the one the is most suitable for your needs. Can I drink filtered water without boiling? Yes, after FITaqua purification water is clean, free of sedimentation impurities, chemical and biological contaminants so you can enjoy the taste without fear. The water is tasty and healthy. We may notice natural osmosis process in environment. It is a movement of molecules from lower concentration solute into higher concentration of solute, through a partially permeable membrane (with porosity around 0,0001). Natural osmosis occurs on cell walls of mammlas (including human) or intestines. 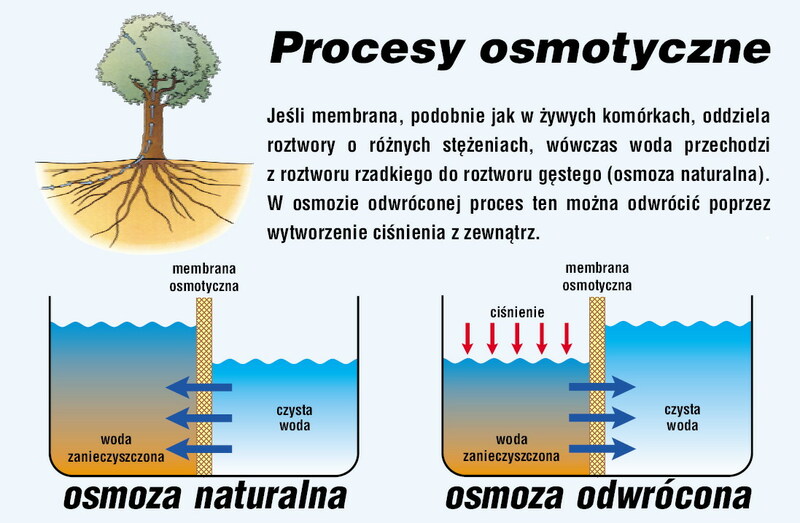 Thanks to discovering factitious membrane, we may now use osmotic processes for purifying water. As in this case, we are considering a phenomenon opposite to natural osmosis, that is why water filtration industry the concept is called reverse osmosis. Osmotic membranes for drinkable waterhave twice bigger porosity than the natural ones. Thanks to that mineral elements can easily float in water. How does the membrane look like? 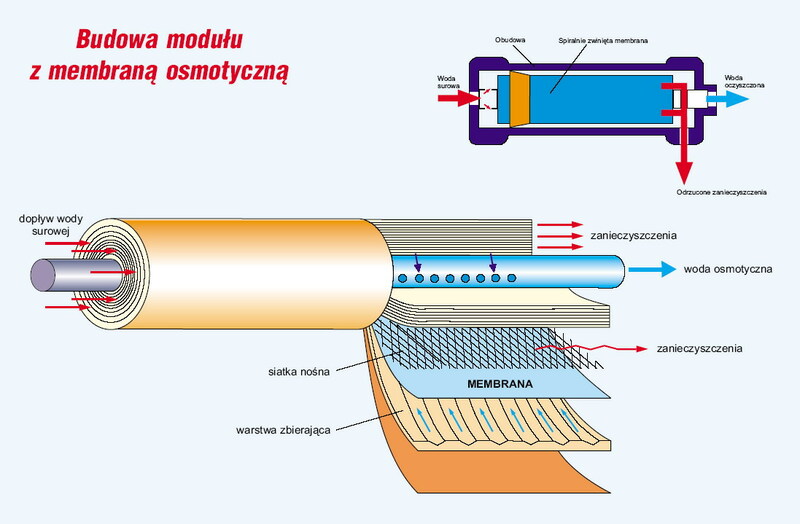 The construction of the membrane module is available here. Where can I find more information about water and its treatment techniques?